Find the hypotenuse of a right triangle with this pythagorean theorem calculator. Fill in the lengths of both legs to determine hypotenuse. The hypotenuse is the longest side of a triangle. 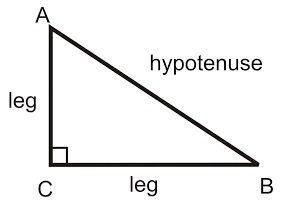 A and B are the lengths of the legs of the triangle. C is the hypotenuse.